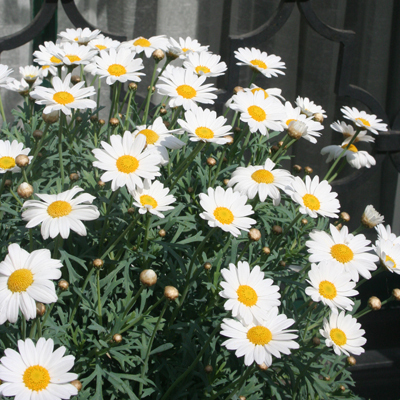 Flower Colour: Pure White with a golden centre. 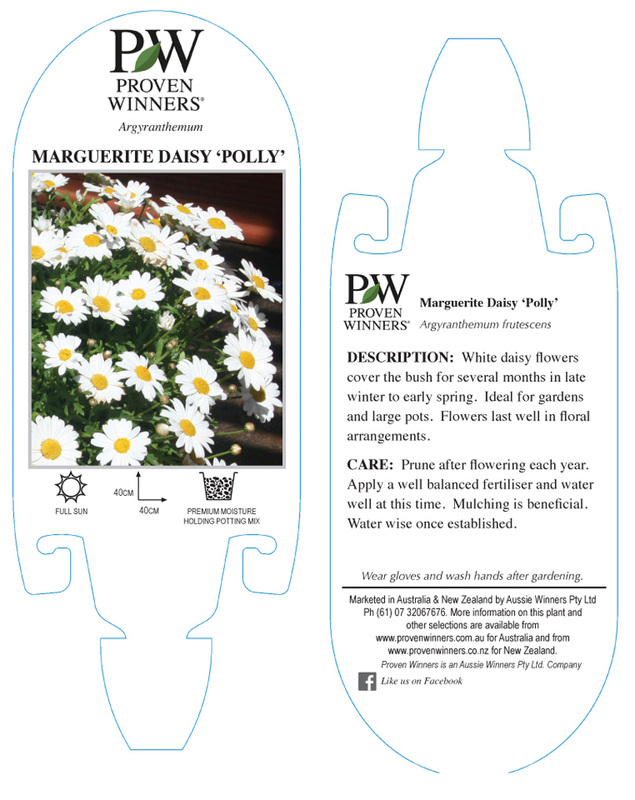 All Argyranthemums, commonly called Marguerite Daisies are so well known by people who garden that it is almost repeating information to write about care of them in gardens and pots but for the beginner the following hints will be useful. Plant your newly purchased Polly into the sunny garden after preparing the bed by digging to loosen the garden and incorporating compost and a light dressing of blood and bone. Water in after planting and keep moist until the plant is growing away. There is little more to do but a monthly application of liquid fertilizer is beneficial. In smart garden pots use the best quality media you can purchase, one that retains moisture but well draining is best. Add some slow release fertilizer and plant Polly in the normal way. Keep in a sheltered position for a few days to establish before placing in a sunny corner of your outdoor living areas where you feel some colour is needed.